Alumni Spotlight – Meet Kwame Christian | Welcome to Coach's Corner! Hey there Buckeyes! It’s time again for a new Alumni Spotlight! 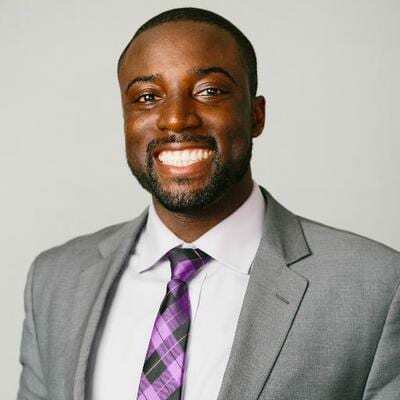 This time around, we are featuring attorney, author, podcast extraordinaire, and all-around great guy, Kwame Christian. Check out his information below, and get to know this one of a kind Buckeye. I actually chose Ohio State because I am from a really small town, and I decided that when I went to college, I wanted to experience something different from what I was used to. I’m from Tippin, OH which has a population of about 20,000 people, and Ohio State has a population of more than twice that. Even though the thought process wasn’t all that great, I am glad that I chose OSU, because it was the best experience for me. How did your experiences at OSU help shape your career path? I had a lot of great mentors coming through school, which is something that I have always found to be very beneficial. I got a great education, and also was positioned around people who were willing to invest in me. My best mentor was a woman named Patty Cunningham, who made a huge impact on me because she would not accept my excuses – she would always push me to do better. The fact that there were people here who cared enough about me to help shape the path after I left was instrumental for me. What advice do you have for any students or alumni who may be considering your career path? My career path is a bit unorthodox – I started out in psychology, and then went into law, where I practiced for a few years prior to starting The American Negotiation Institute. Really, negotiation is a way for me to get back to my love of psychology. So what I would suggest to others is to pursue their passion and follow their interests. When I was doing law, my clients were happy and I was doing well, but I wasn’t very interested in the material – I was always interested in psychology. So, looking back at my career, it is very much me taking incremental steps back to what I love doing. The benefit is that, when you’re doing what you really, really love doing, you can tap into boundless energy. Now I am able to create great content and work on awesome presentations because I really just love what I do. Posted by Alumni Career Management at 9:11pm November 27, 2018 Posted in Alumni Spotlight. Bookmark the permalink.